TomTom’s latest fitness device, the TomTom Touch, tracks your steps, monitors your sleep, and lets you know how your body fat is doing. All for roughly the price of a Fitbit. 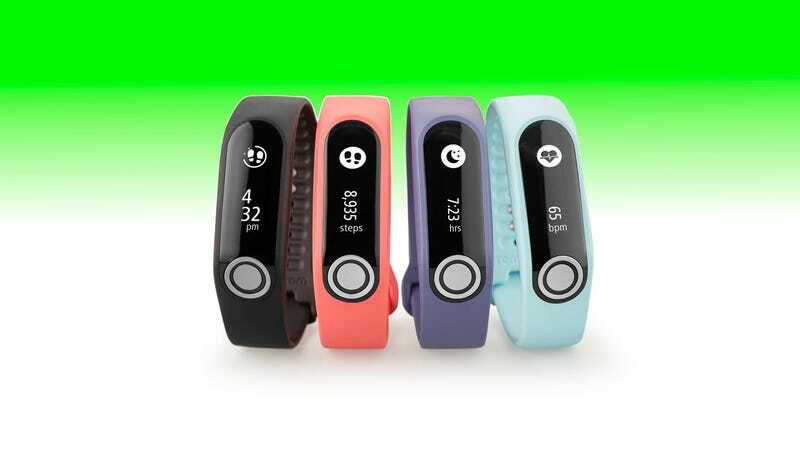 TomTom says the Touch is the first fitness tracker to measure body composition analysis. From what we can tell, this isn’t strictly true, but the feature is certainly rare in other wearables, and hasn’t made its way to an affordable device from a major manufacturer until now. Like most other fitness trackers on the market, the Touch tracks your sleep, steps, and calories burned, as well as your heart rate. As with other wristables, the Touch can get notifications from your phone about incoming calls and texts. As its name implies, the tracker also has a touchscreen that lets you swipe through different screens and data. This is all pretty standard fitness tracking fare, so why would you buy this over a new Fitbit? That’s where the body composition analysis feature comes into play. Using something called Bioelectrical impedance analysis (BIA), the TomTom Touch can tell you your body fat percentage and muscle mass percentage. To get a reading, you hold your finger to a button on the TomTom Touch for 5-10 seconds. BIA technology isn’t perfect—it can fluctuate throughout the day based on your activity or hydration—but many people find this kind of information useful for tracking their weight-loss or workout progress. The idea is that you can track your percentages over time to get a better idea of what affect your fitness or activity regime is having on your body. The info is served up through TomTom’s companion app for smartphones and desktops to see how things line up over time. When the TomTom Touch hits stores in October, it will sell for $130. That’s a good price for a fitness tracker with both heart-rate monitoring and body composition analysis.